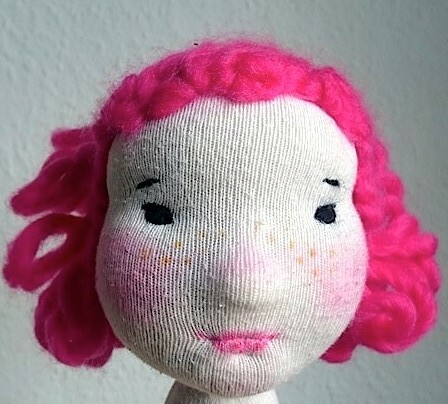 Rosina was my first trial of a sculpted head. 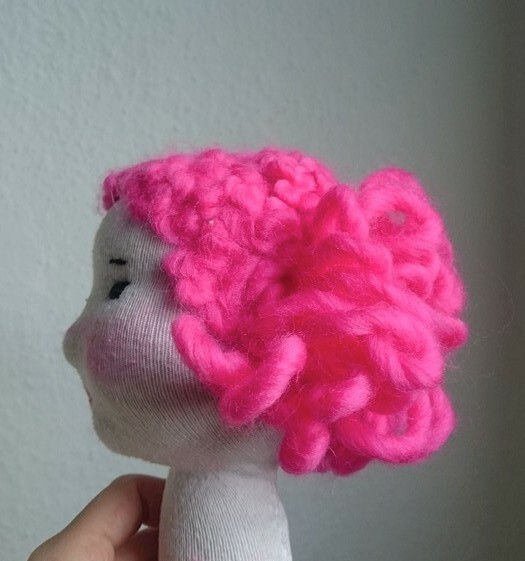 After my Ice Queen, I wanted to have a rounder head, and started searching for tutorials in internet. I experimented with putting a nose, making the face longer to give the face more mature impression. 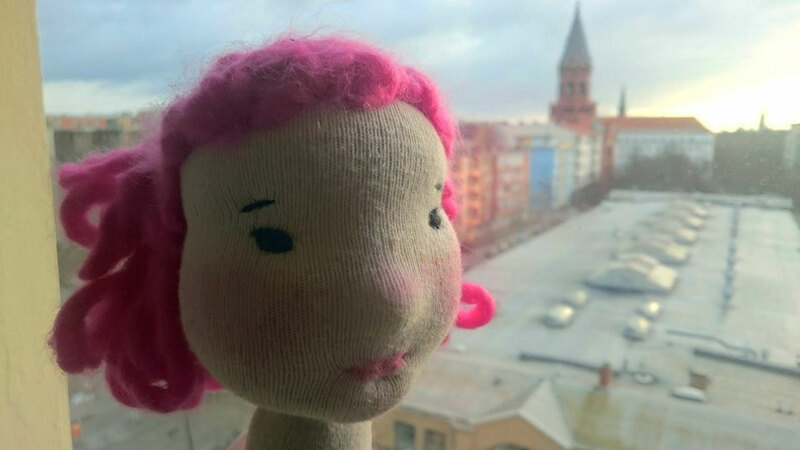 The neon pink wool yarn was the best choice for Rosina's hair, which also was the reason for her name. After so many dolls, she is still one of my favourites.